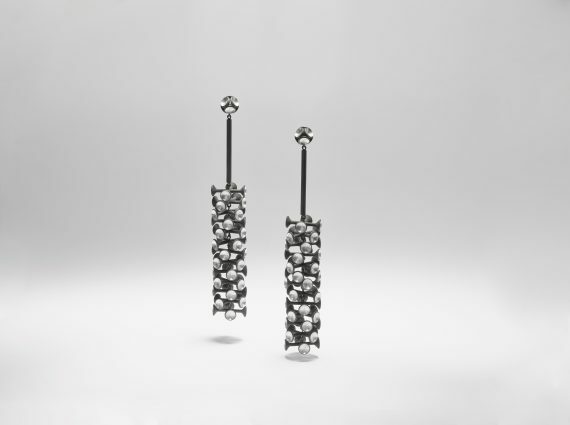 With these earrings, Carol Bove recreates the four light fittings that hang outside the David H. Koch Theater in New York. The building was originally called the New York State Theater; it was built as part of New York State’s participation in the 1964–65 World’s Fair and is owned by the City of New York. The building’s architect was Philip Johnson, who united neoclassicism and modernism and was famously inspired by Mies van der Rohe.